Hybrid LE trim, BLACK SAND PEARL exterior and BLACK interior. Smart Device Integration, WiFi Hotspot, Lane Keeping Assist, Back-Up Camera, Aluminum Wheels, CARPET MAT PACKAGE (TMS). FUEL EFFICIENT 52 MPG Hwy/53 MPG City! AND MORE! KEY FEATURES INCLUDE Back-Up Camera, Hybrid, iPod/MP3 Input, Onboard Communications System, Aluminum Wheels, Keyless Start, Smart Device Integration, WiFi Hotspot, Lane Keeping Assist. MP3 Player, Keyless Entry, Remote Trunk Release, Steering Wheel Controls, Child Safety Locks. OPTION PACKAGES CARPET MAT PACKAGE (TMS) carpet floor mats and trunk mat. Toyota Hybrid LE with BLACK SAND PEARL exterior and BLACK interior features a 4 Cylinder Engine with 121 HP at 5200 RPM*. EXPERTS ARE SAYING Great Gas Mileage: 53 MPG City. 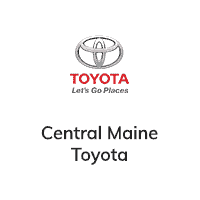 WHY BUY FROM US Central Maine Motors Auto Group has been proudly serving the community since 1935. We do not charge documentation fees, we provide a full tank of gas whether you choose to purchase a new or pre-owned vehicle as well as complimentary, lifetime Maine State Inspections. Please confirm the accuracy of the included equipment by calling us prior to purchase.